February 22nd is National Margarita Day, and you know what that means… margarita deals all day long! Here in Austin, we certainly aren’t hurting for more cantinas, Mexican restaurants or tequila bars. But narrowing down the best spots for a margarita can be a little overwhelming. So to make your National Margarita Day as tasty as possible, we have complied a list of our top 10 margaritas in town! Margaritas at Guero&apos;s Taco Bar. Courtesy of Guero&apos;s Taco Bar. Guero’s – Guero’s is a modern South Congress icon, known for its margaritas as well as its regular live music in the garden. Try the SoCo rita and don’t forget to order a bowl of queso too! La Condesa – This chic restaurant is the perfect place to stop for a margarita while exploring downtown Austin. Order a bowl of the chipotle guacamole and try the margarita la clásica on the rocks or the margarita la condesa for a twist. 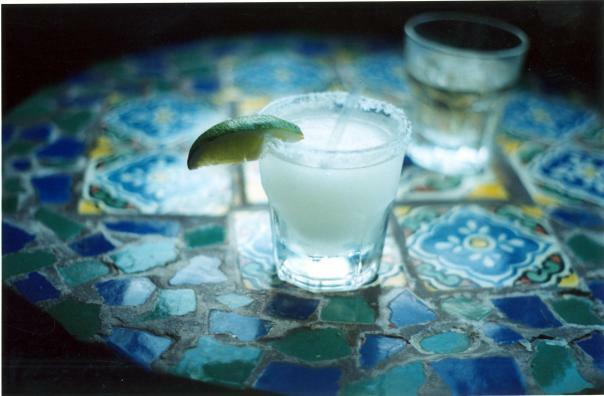 Trudy’s – No list of Austin margaritas would be complete without Trudy’s. Stop by the original location (Trudy’s Texas Star) near the University of Texas campus for one of the best house margaritas in town, and take advantage of Mexican Martini Mondays ($5) while you’re at it! Curra’s – This unassuming south Austin staple is located near the St. Edwards University campus. Curra’s is famous for their colorful salsa sampler and unique avocado margaritas – try them both for the full experience. El Alma&apos;s margarita chilanga. Courtesy of Bryan Gonzales. El Alma – El Alma delivers modern Mexican fare with a unique Austin twist. Spend a sunny afternoon or a warm evening on the beautiful rooftop patio, where the views of downtown Austin can’t be beat, with a “perfect” margarita on the rocks (no really, that’s the name!). Polvos – Polvos, South First’s quirky restaurant and cantina, is a hit with visitors and locals alike. For a late night margarita deal, stop by after 10 p.m. and take advantage of reverse happy hour. Matt’s El Rancho – Matt&apos;s Famous El Rancho has been serving up true Austin Tex-Mex since 1952, which means they have had plenty of time to perfect their margaritas. For a fun variation on a classic margarita, order the knockout martini! 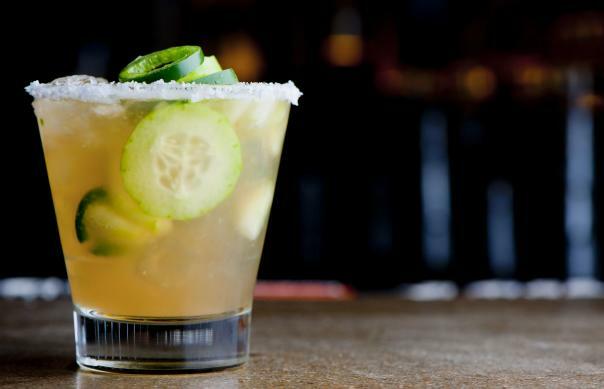 Cucumber Jalepeno Rita from Jack Allen&apos;s Kitchen. Courtesy of Resplendent Hospitality. Jack Allen’s Kitchen – Jack Allen’s is famous for putting a modern, upscale twist on classic Texas fare (how about that house made pimento cheese?) and their margaritas are no different. The house frozen margarita, with salt of course, is always a safe bet but if you’re in the mood for something fun and refreshing, try the cucumber jalapeño rita. Vivo – This north Austin restaurant is known for its wide selection of potent margaritas. These libations are as pretty as they are flavorful – every frozen ‘rita is topped with a fresh flower! Try the prickly pear margarita for a taste of true Texas. Takoba – This cool east side cantina is a great place to end any night. Get comfy in one of the colorful Adirondack chairs situated in the huge back lounge space (the “sandbox”) and order up a refreshing treat. 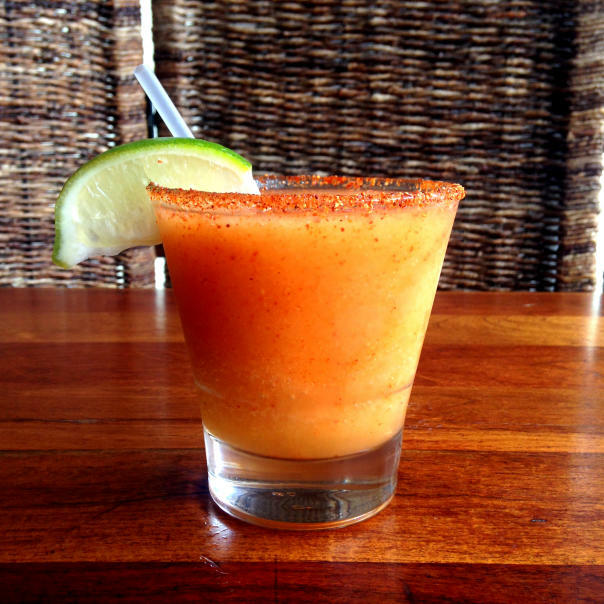 If you’re in the mood for a sweet and spicy kick, try the mango-habanero margarita. Whether you prefer ‘em frozen or on the rocks, spicy or sweet, salted or unsalted, flavored or original, this list has you covered! But these are just a few of our favorites. Where do you go for your favorite margarita in town? Let us know @VisitAustinTX and send us a snap of your Margarita Day celebrations!